With banks tightening credit conditions, we asked our local Mortgage Broker, Ifraaz Ali from Home Loan Connexion, some of your Frequently Asked Questions about securing finance for your new home. Q – What do I need to budget for when building a new home? Deposit: This is the deposit that you pay before your property is built and is usually payable to the bank. The deposit payable varies from 5% to 20% of the total loan cost. A portion of this deposit may be payable to your builder. (it’s a portion of the purchase price not total loan cost). Upfront costs to the builder: These fees may go towards your initial deposit for the build and usually forms part of your initial deposit for the bank. These vary from builder to builder and usually depends on how much work is involved in the ‘planning’ phase of your build. These costs can also include the associated council fees that the builder incurs. Stamp Duty: Stamp Duty is a state tax levied on all property purchases in Australia. The amount of stamp duty payable by the buyer differs depending on the individual and the type of property they are purchasing. For example, you may be eligible for stamp duty concessions if you meet specific criteria and your payable stamp duty may differ depending on the type of property being built. A Mortgage Broker can also assist with calculating the costs of purchasing or building a new property. Conveyancing Fees: There are fees associated with the conveyancing of your property purchase and are charged by a solicitor or lawyer to handle all of the legal aspects of your property purchase. Property Inspection Fees: These fees are associated with the inspection of your build, usually once completed to ensure that everything has been completed correctly and up to standards. Your builder may provide you with a final inspection notice upon completion, however it is recommended that you seek an independent Building Inspector once your property has been built. Lenders Mortgage Insurance (LMI): This is a fee that is required to be paid if you don’t have a 20% deposit. More on this later. Home Loan Costs: These are all the fees/charges associated with your Home Loan such as setup fees and alike. Your mortgage broker will be able to provide you with an accurate estimate of the budget required. Q – How do I apply for a home loan? There are generally two ways to apply for a Home Loan. One would be to go directly to your bank, and the other is to utilise a Mortgage Broker. First Home Buyers, Where Do I Start? Q – What is Pre-Approval and how long does it last? Pre-Approval is an indication of your ability to borrow. This is where a Mortgage Broker will submit an application with a bank that best suits your scenario and of your choosing, to get an indication of how much they are willing to lend to you. Pre-Approvals are great as they can allow you to go shopping with an idea of what you can afford. Please note, Pre-Approvals are indicative only, are not guaranteed finance and can last from 3 months to 12 months depending on the lender. Q – What is Lender’s Mortgage Insurance (LMI)? If you have less than a 20% deposit, then you will most likely be paying LMI. LMI is the insurance the lender takes out for the mortgage to protect the lender only. It also allows someone to get into the property market with a much lower deposit. LMI amounts vary depending on the lender and how much you are borrowing. Generally, you will have to have LMI saved as most lenders will not allow you to include it with your loan. Q – How do I apply for the First Home Owners Grant (FHOG)? Q – Can I use equity in my home as a deposit for an investment property? Depending on your circumstances, you may be able to access the equity in your current property to go towards the deposit of your next home and pay the associated costs. This will come down to a few things such as the amount of equity you have in your property that you can access and if your current financial situation will allow you to release it. A Mortgage Broker can, usually quite quickly, determine your equity position and whether or not you are able to access your existing equity. They can also go through this process with you and ensure that you have the right lending structures in place when releasing equity and purchasing a new property. Q – What is a construction loan and how do they work? A construction loan is a type of Home Loan specifically for people who are looking to build a new home. Construction loans differ from regular Home Loans where someone is purchasing an existing home. Construction loans usually have progressive draw-downs or progress payments, which means that you draw down your loan or increase your borrowing as needed to pay for the stages of construction. Lenders have specific products for construction loans and each lender has different processes. Construction payments or drawdowns are usually controlled by the bank and are payable to the builder at various stages of your build. Construction loans can vary from lender to lender. A Mortgage Broker can find the most suitable construction loan for you and your scenario and will assist you from the initial loan application, through all of the construction phases and through to the settlement of your new build. During the construction phase of a construction loan you will usually only be paying interest on the loan, which will save you money during construction. Afterwards you may be able to keep it as an Interest only loan or revert to principal and interest. Q – What happens if my construction costs increase? Your building contract will provide you with some protection here. It contains the terms and conditions, contract schedule, building plans and the building specifications. Many building contracts will also have “special conditions”, which are special terms that override the regular terms and conditions. Fixed price contracts are the most common form of building agreement. As the name suggests, a fixed price agreement is where the builder agrees to perform building work for a fixed sum. This provides a degree of certainty to both parties, but during a period of escalating costs the builder is likely to include a risk premium into the contract sum for unexpected cost escalation during the construction period. As a fixed-price contract will have the total price specified, so (in theory) you will know in advance how much the build will cost. Most fixed-price contracts have building progress stages and corresponding progress payments. Even in fixed-price contracts, there are still mechanisms that allow for the price to rise, such as prime cost/provisional sums allowances and cost-escalation clauses. The other way that costs can increase is through variations to the contract. The builder can issue variations for any additions or changes that are requested after the contract is signed. A variation can also be issued for additional works that become necessary due to unforeseen circumstances. While it is difficult to completely protect against any price increases, if you make any changes to the specifications you need to be sure you have enough money to fund them. Having a lawyer review the contract will help you understand any special conditions that could result in construction costs increasing. Q – Should I pay a deposit on land or for a home without Pre-Approval? For your own protection, it is highly recommended that you seek a Pre-Approval prior to paying a deposit on land or a house and land package. This makes sure that you have access to finance options before paying a deposit. Again, a Mortgage Broker can research the market for you and find you the most suitable construction loan product and have the lender assess your application. Pre-Approvals are not set in stone but are a good indication of your lending capacity. Q – Can I borrow money for stamp duty? There are some cases where you may be able to borrow money for Stamp Duty. This is usually where you are using your existing equity to build a new home and the bank may allow you to withdraw enough equity to cover your deposit and all associated costs. The other way is if you are using a guarantor to build your first home where the bank may allow you to add associated property costs to your loan. It is no secret that we find ourselves in a tough lending environment. 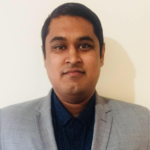 Given the difficulty some people are having in obtaining finance, we thought it would be the perfect opportunity to ask one of the Mortgage Brokers (Ifraaz Ali – Home Loan Connexion) that we work closely with, for his top tips for getting your home loan approved. A main requirement for lenders is your ability to afford a Home Loan which will include your current income and employment, as well as your living expenses. You need to be able to show the bank that you have sufficient income to meet your existing debts and expenses and your new loan requirements and that you are in control of your finances. It is essential that you create an accurate budget, which includes all of your income and expenses so that you can see where your money is going and if you can afford to pay your new Home Loan. Before making an application, you should check your Credit Report to get an idea of what is on there and if you have any defaults or overdue payments. All lenders will check your Credit Report to ensure that there is nothing on there that concerns them, which includes how many times you have applied for credit and if you have any defaults or court judgements. Each Credit or Loan application you make will show up on your Credit Report so keeping your Credit and Loan applications to a minimum will increase your chances of getting your Home Loan approved. When it comes to Home Loans, there are literally hundreds of products available out there, so it is important to know what your options are and which products you qualify for. Using a Mortgage Broker is great as they can research the market for you and present you with suitable options for your individual scenario. Keeping your existing loans and expenses to a minimum is key in applying for a Home Loan as lenders will see every liability that you have, including Credit Cards, Personal Loans, Store Cards and other liabilities or expenses. Minimising your debts will increase your chances of getting your Home Loan approved. All banks will want to see that you can save money and pay your existing commitments, so having a strong savings and repayment history will increase your chances of getting your Home Loan approved. This can be done through having a regular savings pattern where you can show that you can save money without spending it and also showing the ability for you to meet your current commitments with no overdue payments. Showing good conduct on all of your accounts will increase your chances of getting your Home Loan approved. One of the big things lenders look for is consistency of employment. If you can show that you have consistency of employment by either staying with an employer for a continuous period of time or having strong employment history and stability, you will increase your chances of getting your Home loan approved. With the regulations that surround the lending market, it is essential that you disclose all relevant information to your lender when you make an application. If the lender discovers information that has been left out, such as undisclosed liabilities or debts including afterPay, then they are more likely to decline your Home Loan application. A Mortgage broker can do all of the work for you from researching the market to making an application on your behalf and doing all of the leg work while supporting you through the process and ensuring that everything is done with your best interests at heart. This blog is not designed to replace professional advice. It has been prepared without taking into account your objectives, financial situation or needs. You should consider the appropriateness of the advice, in light of your own objectives, financial situation or needs before making any decision as to what is appropriate for you. I am a Mortgage and Finance Broker and proud to be a part of the award winning team at Home Loan Connexion, working with a team of experienced and passionate brokers. My core value is to provide a high level of service to all of my clients and work in partnership with them to achieve their financial goals, both now and in the future. Everyone is different and so I take a tailored approach to each client, making sure their financial interests are at the core of the service I deliver. Starting my career in Finance in 2016, I have a Certificate IV in Finance and Mortgage Broking and a Diploma of Finance and Mortgage Broking Management. I have worked closely with very experienced Mortgage and Finance Brokers, giving me a thorough understanding of the lending market. As part of my service, I will save you the hassle of running around and I will come and visit you at a location and time that is convenient to you. I can assist you with all things Financial including Home Loans, Construction Loans, Refinances, Personal Loans and Business/Commercial Loans. I would love to help you with your financial goals so feel free to contact me to see how I can help you today.